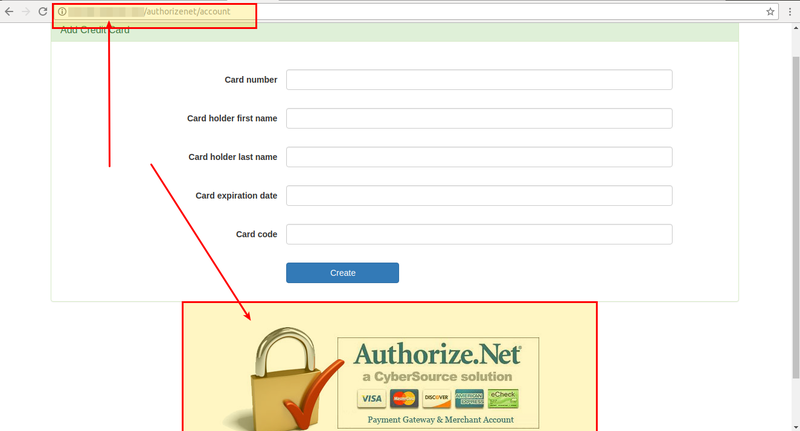 Authorize.net is a Splynx add-on. 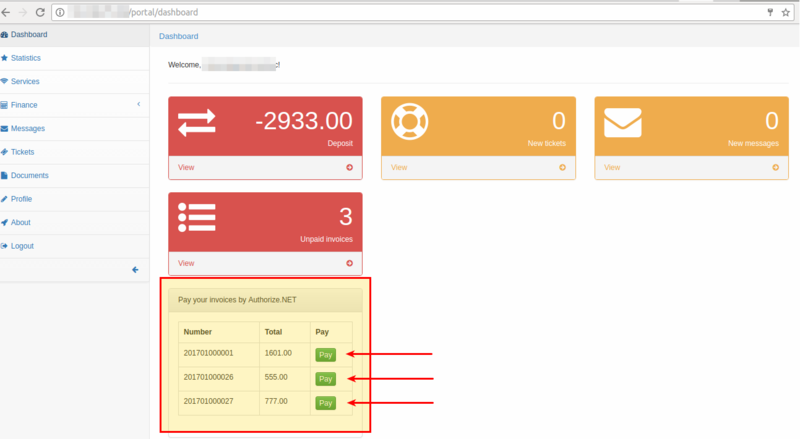 It uses to synchronize customers, invoices and payments with Authorize.net payment gateway - https://www.authorize.net. API domain - Splynx URL. 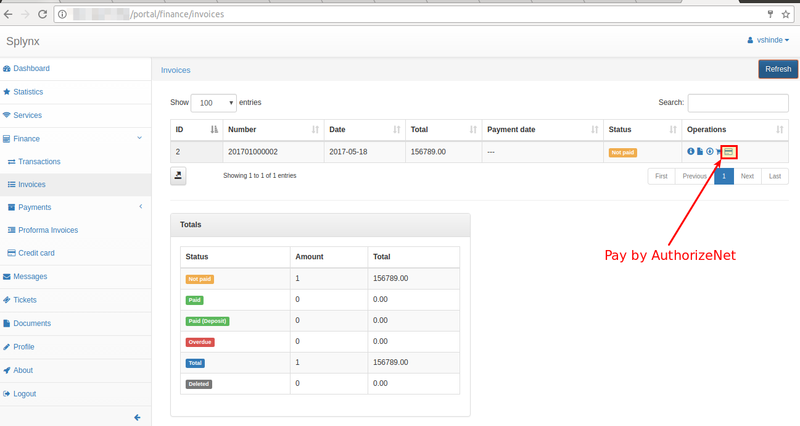 Payment method - when customer pays by using this add-on, the payment will be with this payment type. 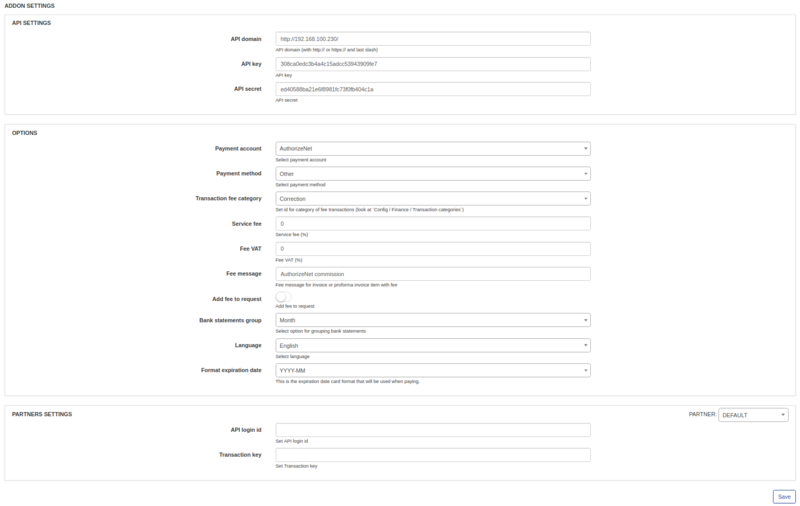 Transaction fee category - transaction category of service fee. It is used only for proforma invoices. For invoices service fee category is always Service. Service fee - service fee (in %). Fee VAT - service fee VAT percent. Fee message - service fee description. Bank statements group - Group bank statements (Finance / Bank Statements / History) monthly or daily.